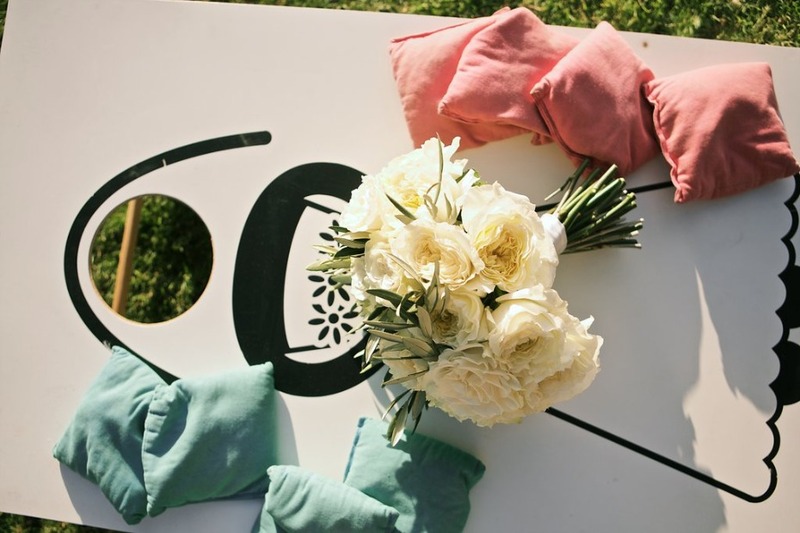 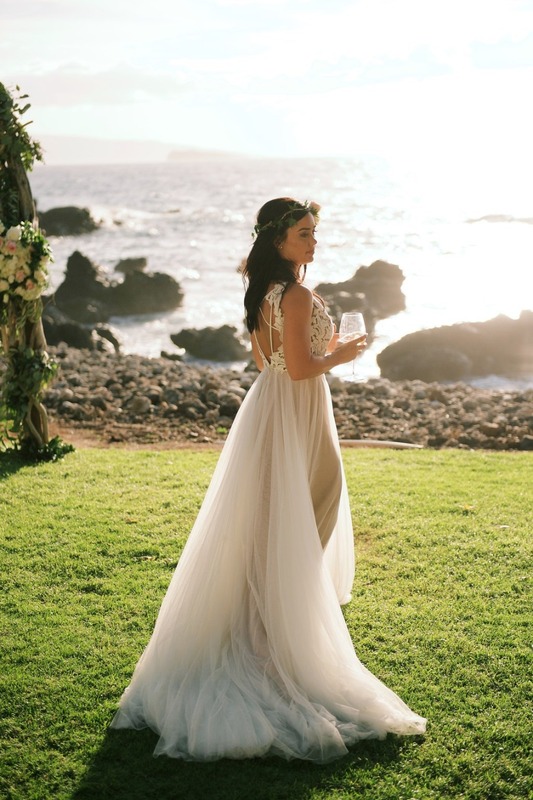 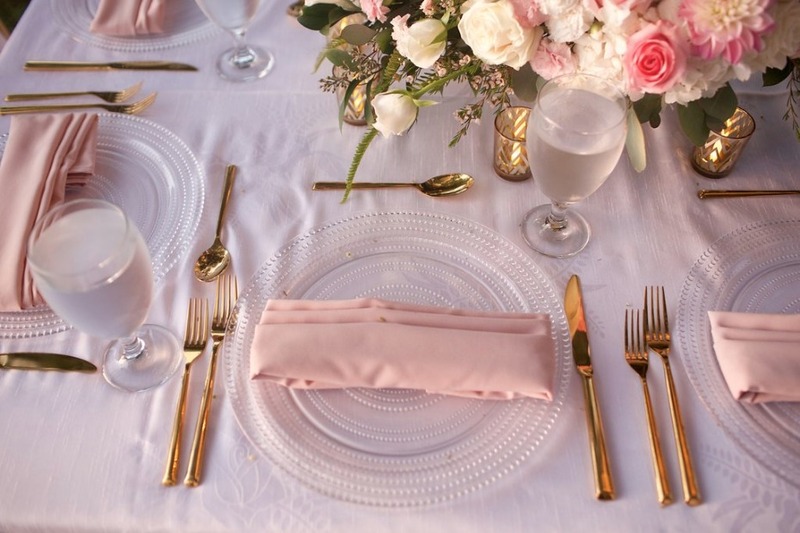 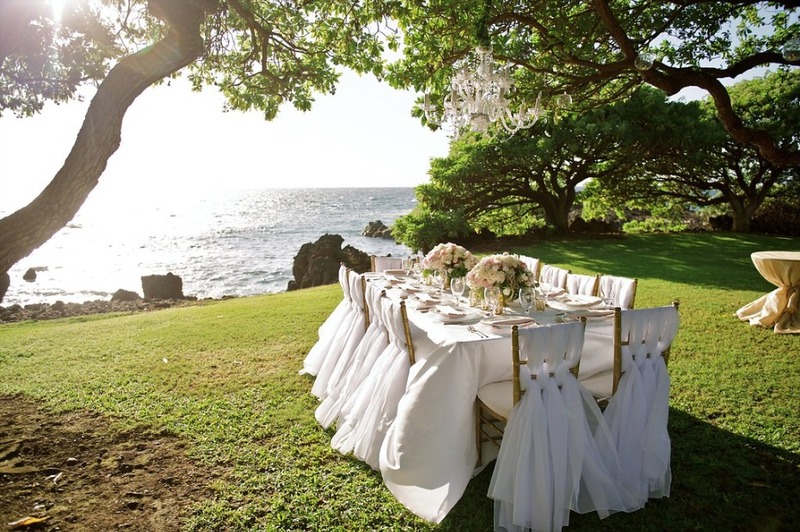 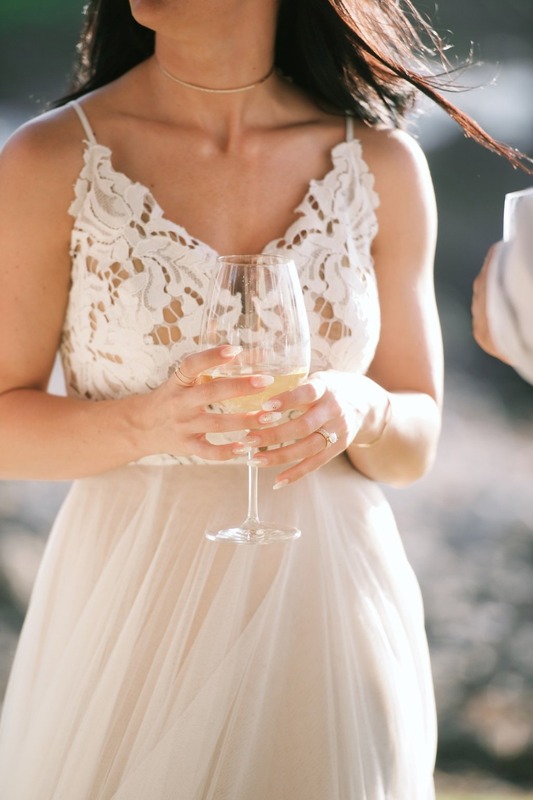 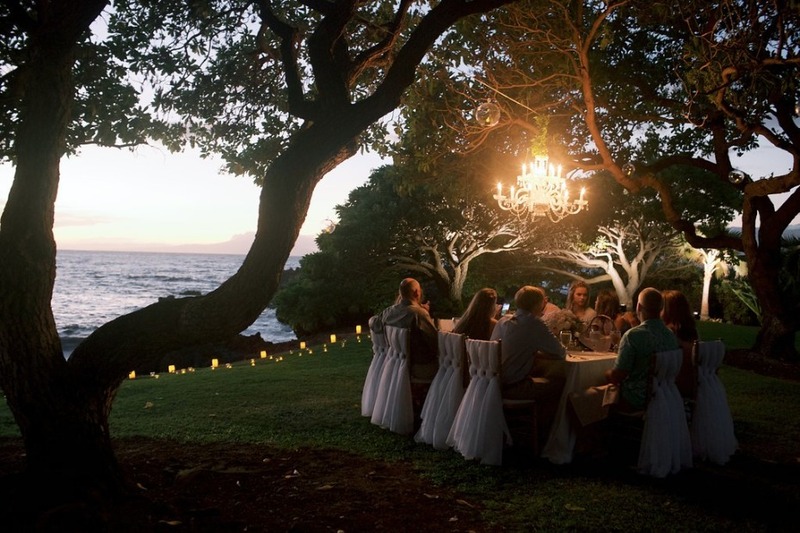 If You Could Lucid Dream A Hawaiian Wedding This Would Be It! 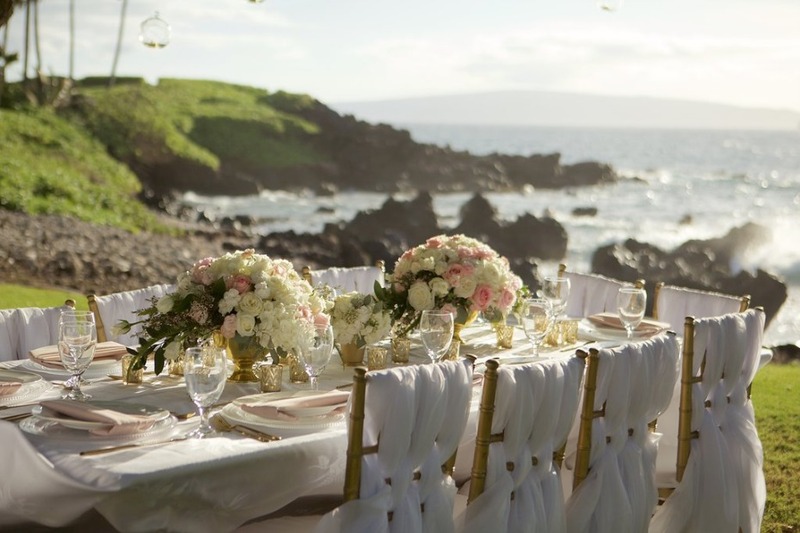 If you could lucid dream a Hawaiian wedding this would be it! 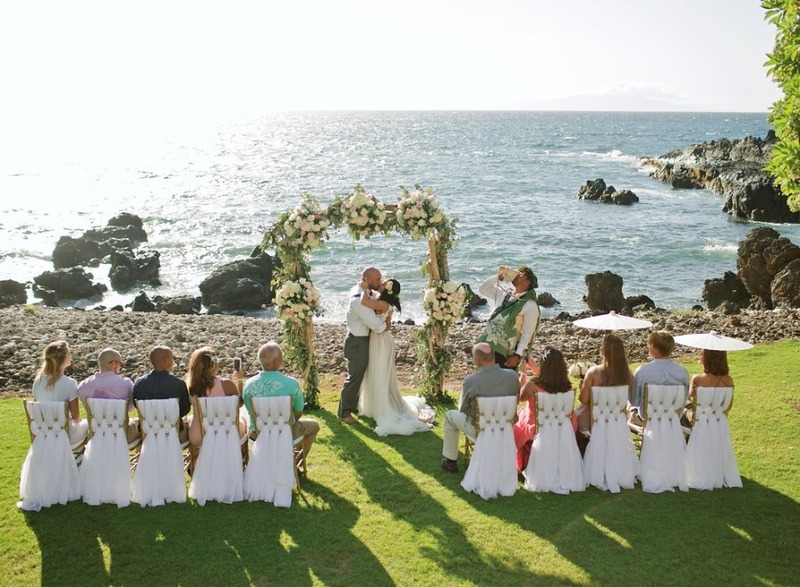 A combination of the perfect lighting, a quaint little group of ten of your closest friends, and a tropical breeze that playfully floats a cloud like wedding gown around the bride are what make this gorgeous wedding day seem as if it were conjured up by your semi-conscious brain. 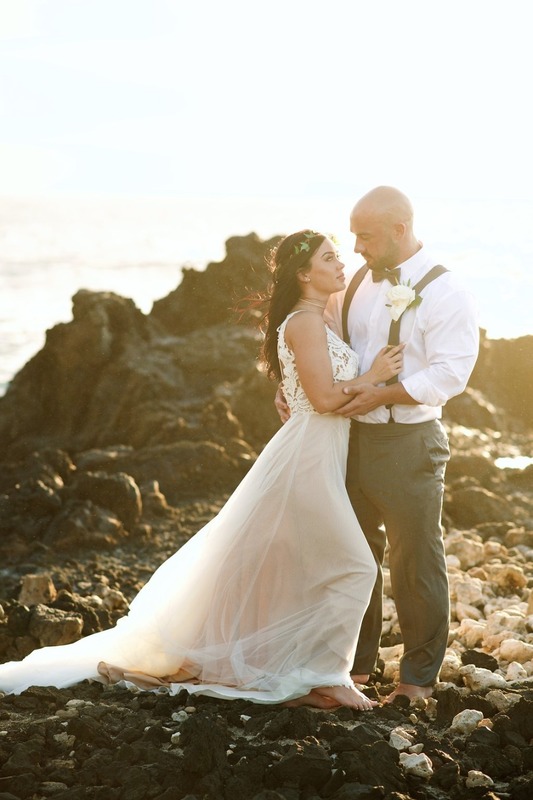 Well believe it or not Katy and Haydn's ethereal Hawaiian wedding may have been a dream wedding but it certainly was not a dream. 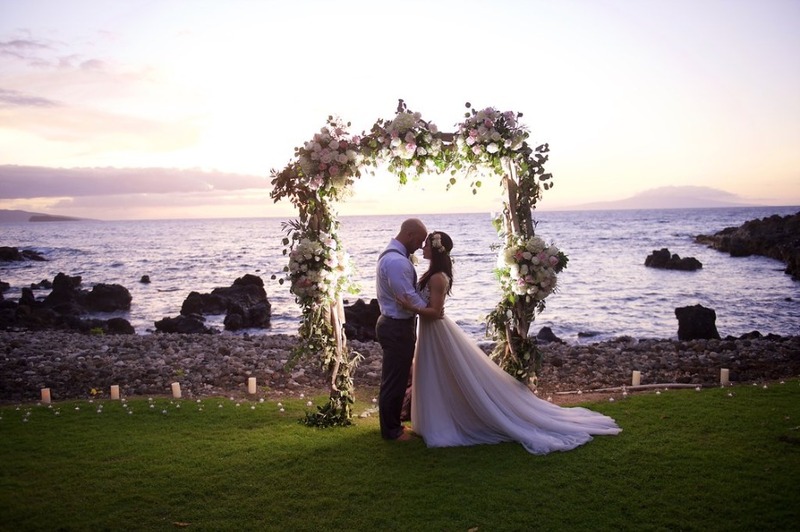 You can see more of this glowing sunset ceremony by scrolling down and by visiting the full gallery. 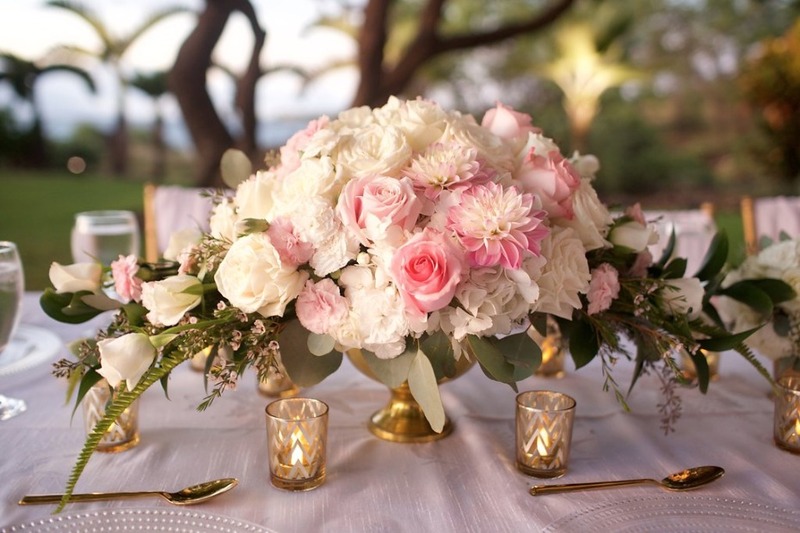 There you can see every detail meticulously designed by Bliss Wedding Design & Spectacular Events and photographed by Anna Kim Photography. 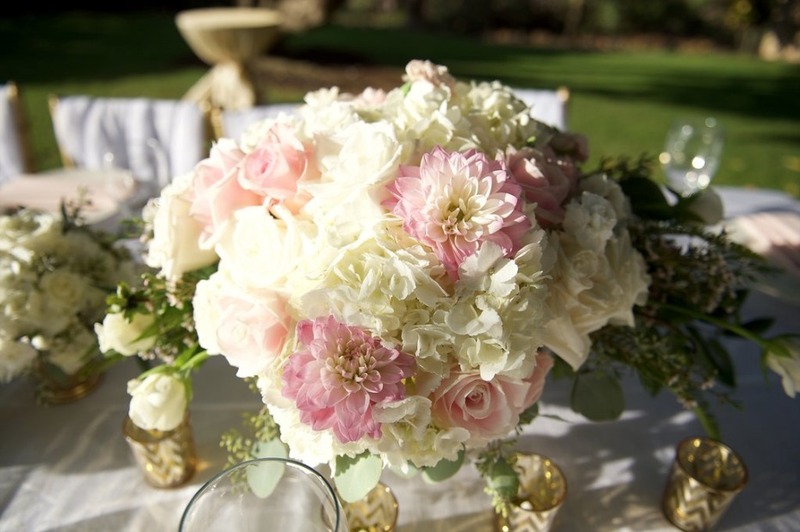 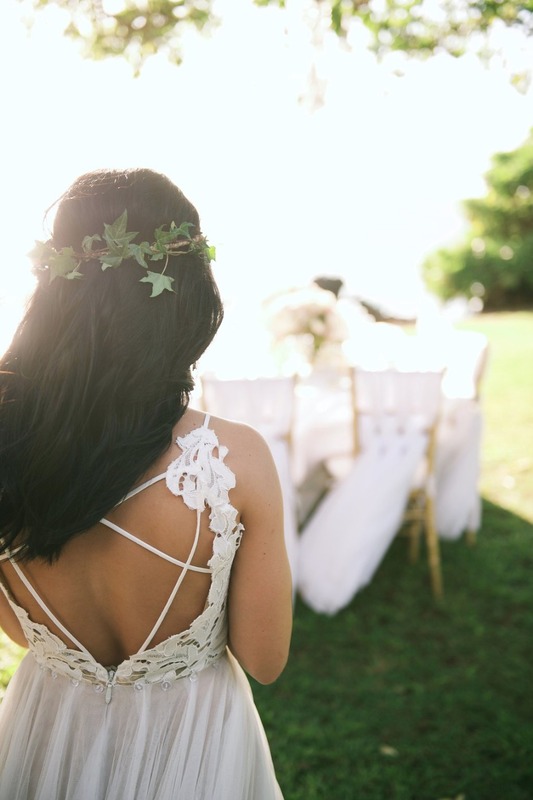 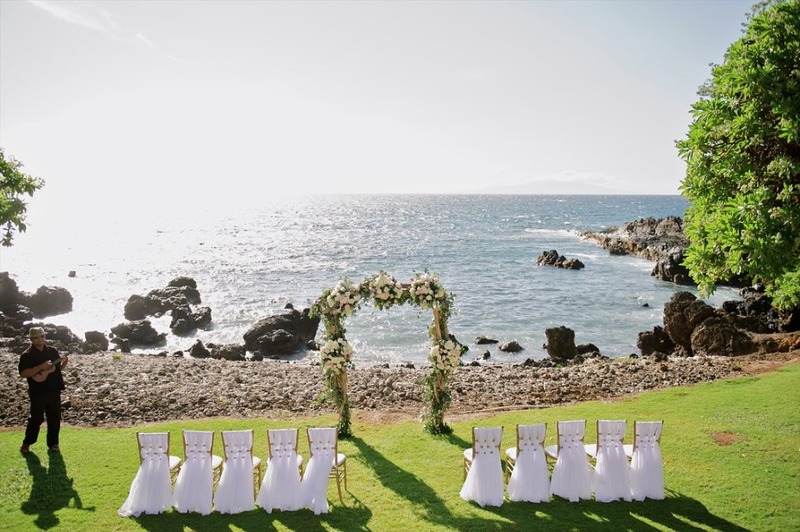 From Bliss Wedding Design & Spectacular Events: Katy and Haydn gathered with an intimate group of family and friends on our beautiful island of Maui to promise eternal love and loyalty to one another. 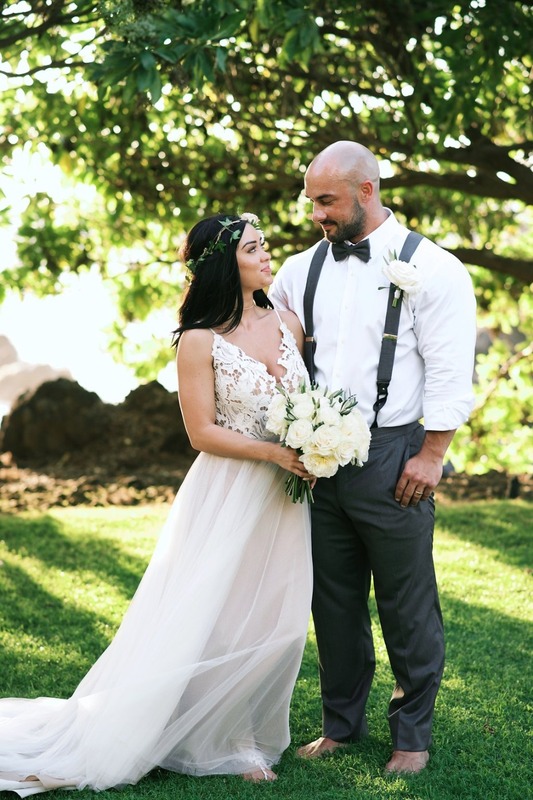 We could not have been more excited to help these two plan and celebrate this exciting and monumental day. 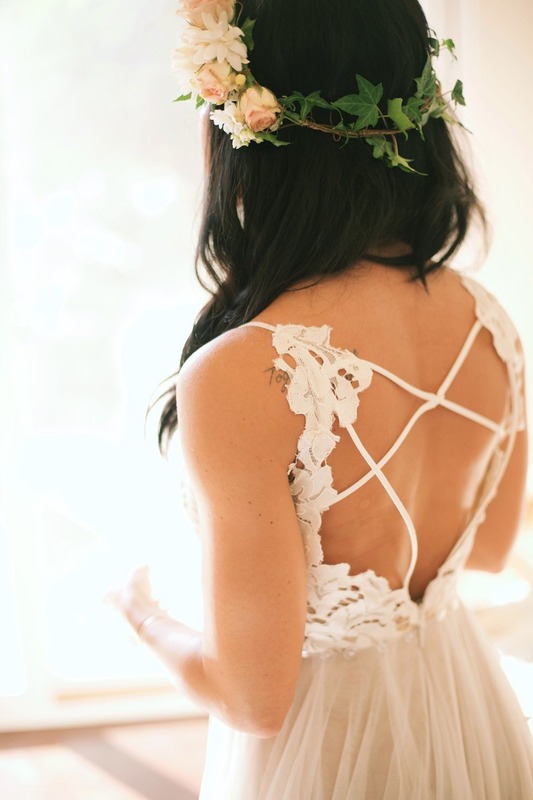 Every detail was beautiful. 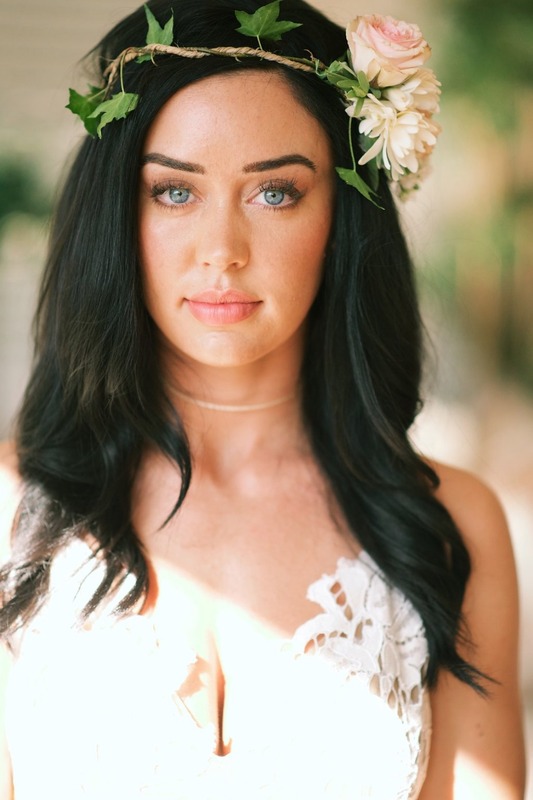 Katy's dress seemed to have been spun from a delicate dream, a perfect marriage between two talented designers--a gown purchased at Marie Gabriel Couture Bridal with the top by Hayley Paige and the bottom by Watters and Wtoo. 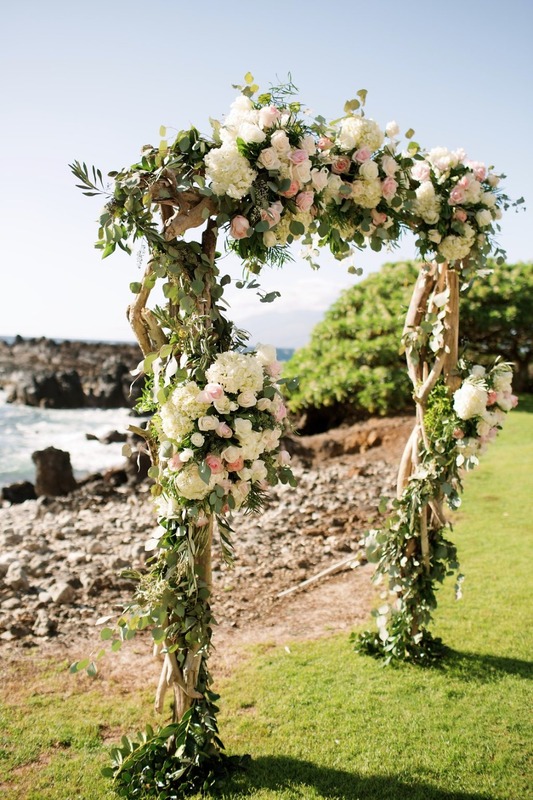 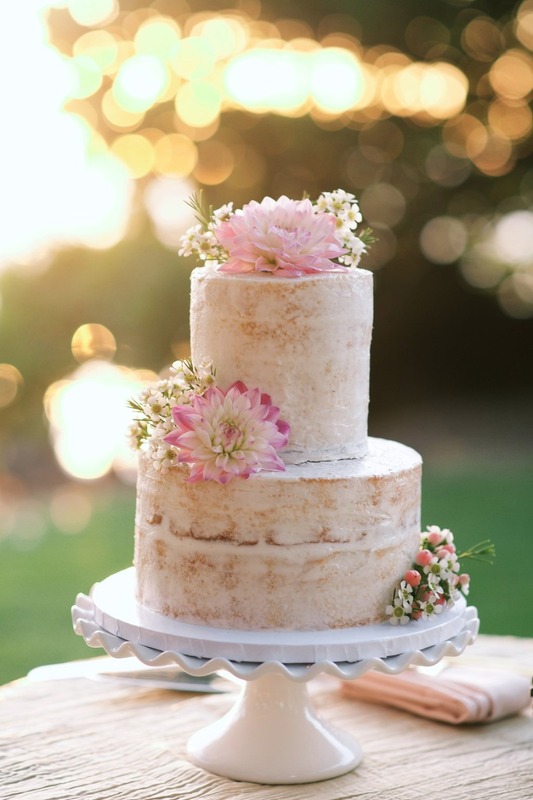 Dellables Wedding Florals and Design wove a dainty flower crown for her to wear, mirroring the lush pale pink and ivory florals adorning the driftwood wedding arch and accenting the gold reception table decor courtesy of our sister company Petals. 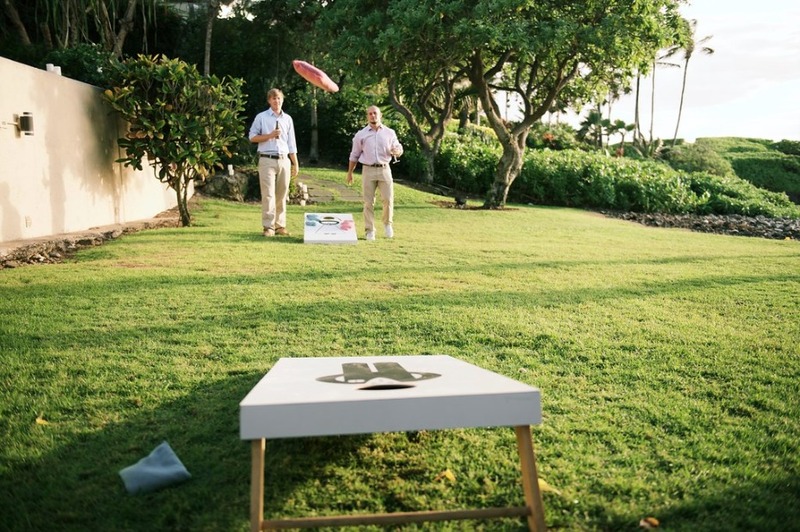 After the "I dos" and before the toasts, cheers, and impeccable island cuisine, guests played on the lawn while the newlyweds ventured out onto the lava rocks in the glow of the setting sun. 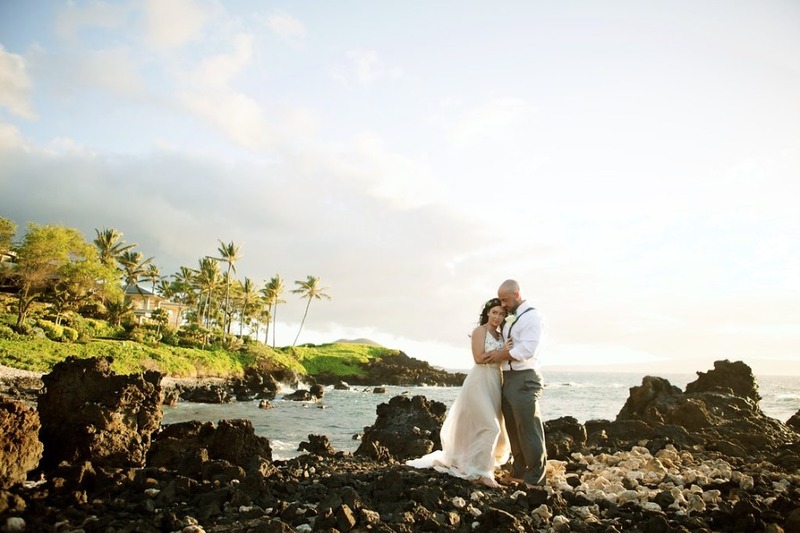 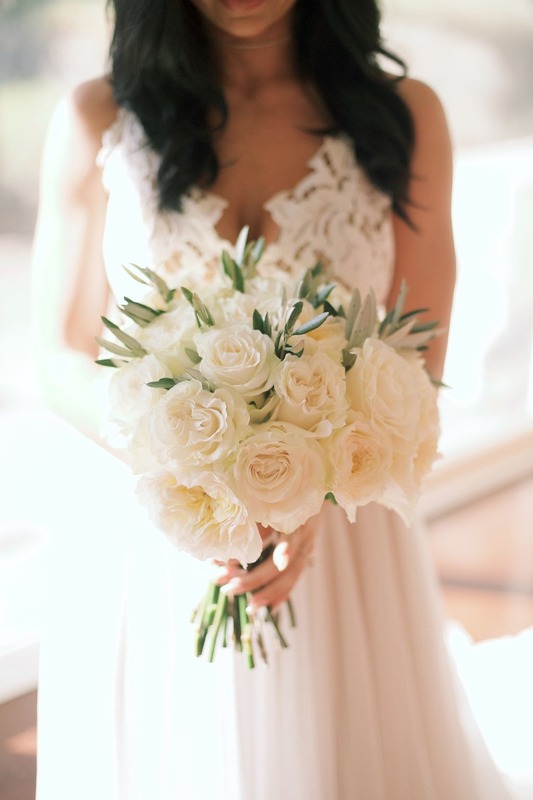 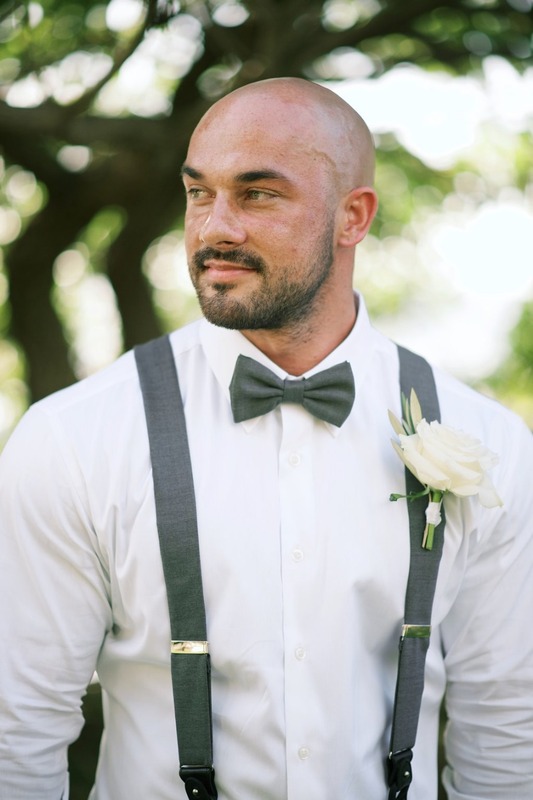 We are ecstatic that Anna Kim Photography was there to capture so many stunning moments and memories. 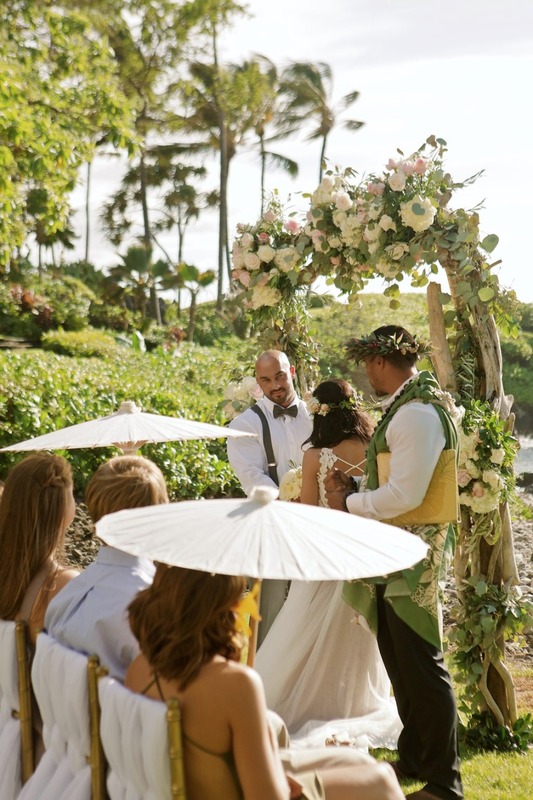 Get a closer look at this dreamy summer wedding in Hawaii by watching the wedding video from Ohana Films below.